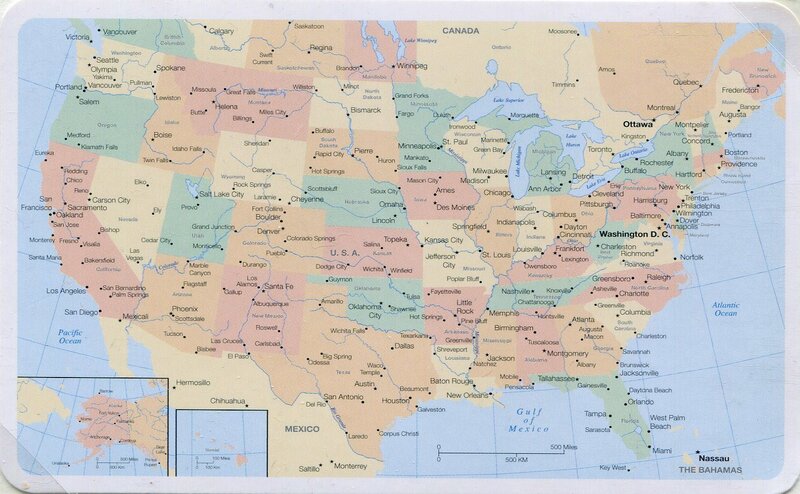 This textless display showcases each of the 50 states of the USA. It aims to take you on a trip around the USA whilst learning something about each state. 1. It is ordered by date of statehood. The starting point is Washington, D.C., followed by Delaware, the first state to gain statehood, and it ends with Hawaii, the last state to gain statehood. a stamp commemorating its statehood. 3. Additional stamps relating to the state will be shown on the state title page where space allows. slogan cancels or meters posted in that state. 5. Postcards stating "Greetings from" and postcards depicting the state capitol have been used on the state title page where available. 6. Some states have many pages, to showcase their varied tourist attractions. For example, California, Oregon and Arizona have at least 10 pages each. 7. The original intention was to show correspondence from state to state in order of statehood. This proved more difficult than expected. However, the occasional item has turned up, and each is highlighted by a bright border. As of Nov 2014, two items have been included. 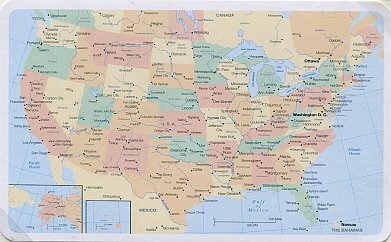 The state list below shows for each state the order of statehood, the state name, its nickname, its date of statehood, its capital and a summary of the material shown. Click on a state name to see the page(s) pertaining to that state. If you have any questions or suggestions about these pages, please drop me a line at .